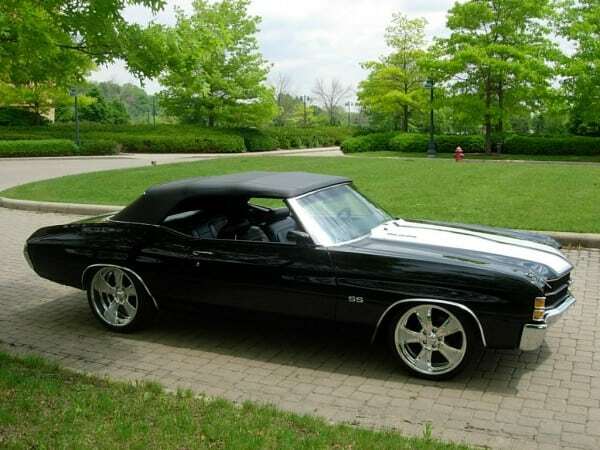 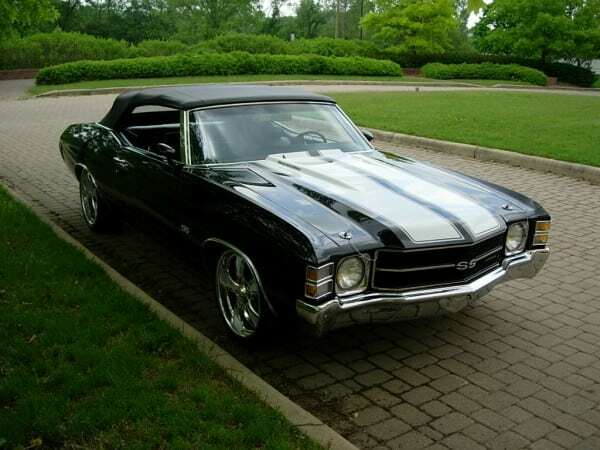 1971 Pro Touring SS Chevelle…..SOLD! 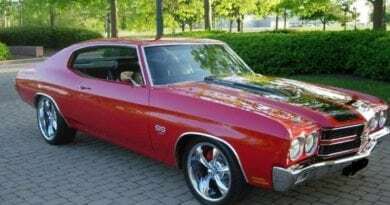 By 1971 the days of the big-block Chevrolet Chevelle were on the wane. 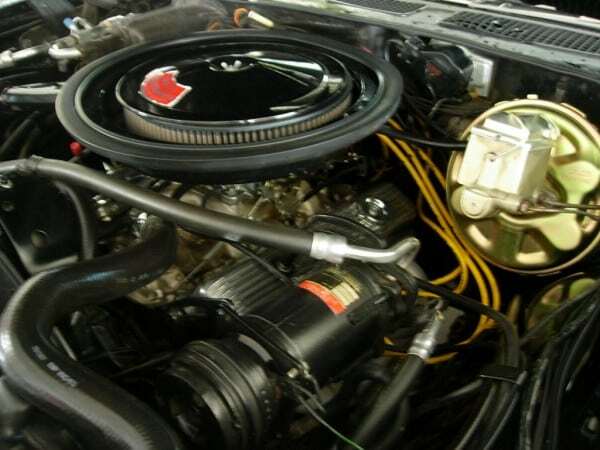 The crowd-pleasing LS6 was gone, a victim of increasing government regulations and rising insurance costs. 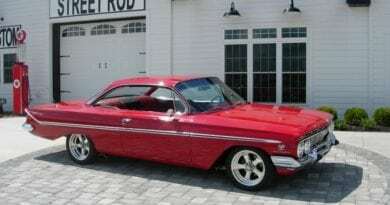 But that did not mean that performance was history. 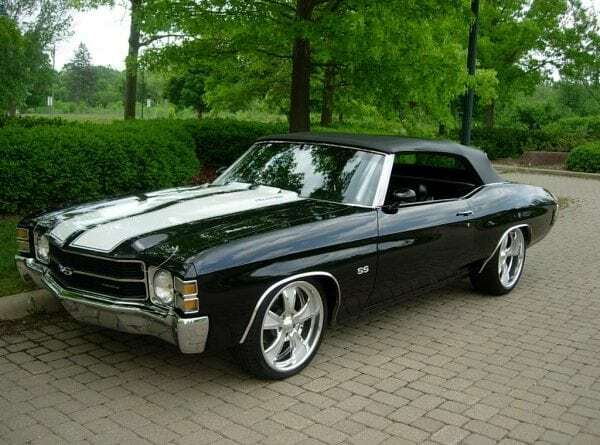 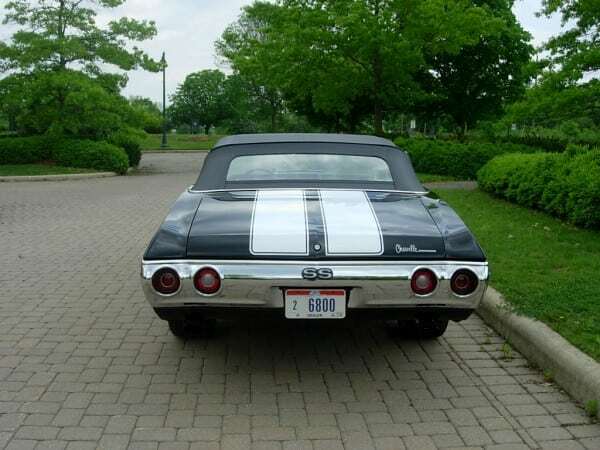 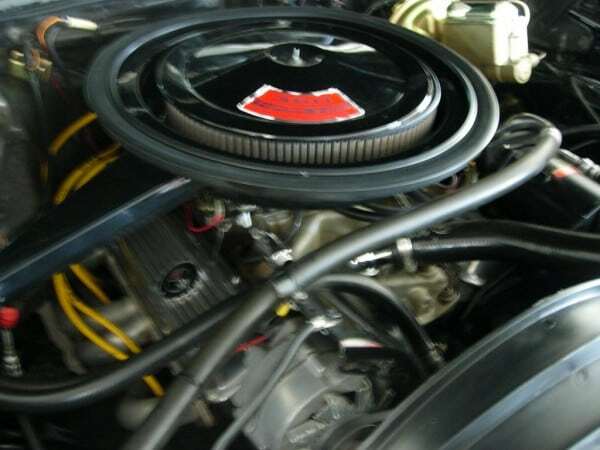 The Chevelle SS returned with the option of a 350 CI engine, the L48, which used a Rochester four-barrel carburetor, a mild hydraulic cam and dual exhaust for a rating of 270 HP. 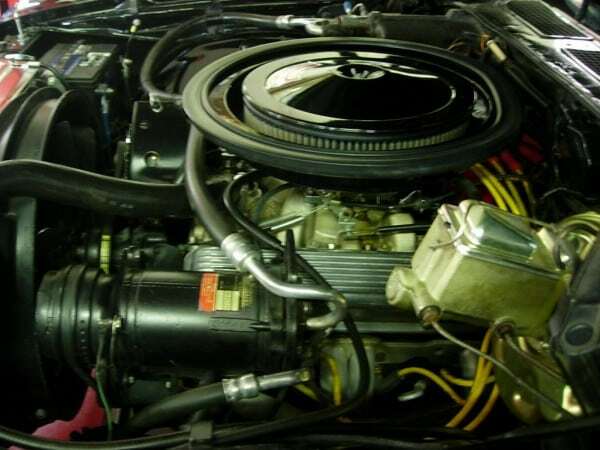 The L48 offered very good performance without the fuel bills associated with the big-block engines, making it a solid choice as the gas crunch loomed. 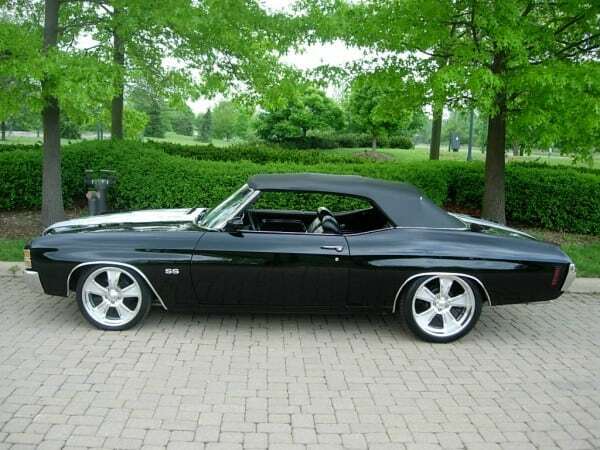 This lightly Resto Modded 1971 SS convertible is powered by the L48 350/270 HP small-block V-8 in concert with a 3-speed automatic transmission and heavy-duty 12-bolt rear end. 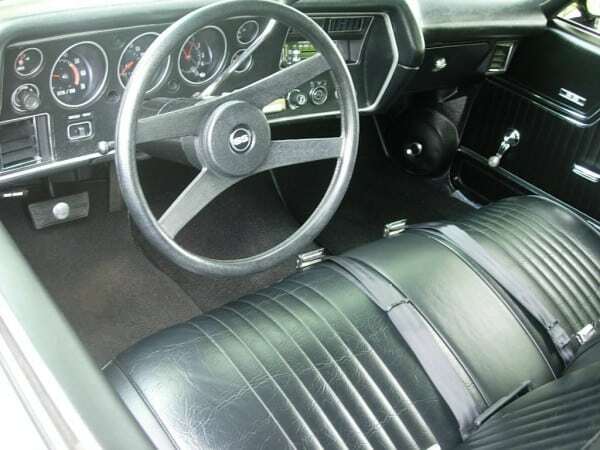 Slick Tuxedo Black paint and White Sport stripes decorate the arrow straight exterior, which also features hood hold-down pins, chromed wheel-arch trim and a vacuum-operated cowl-induction hood. 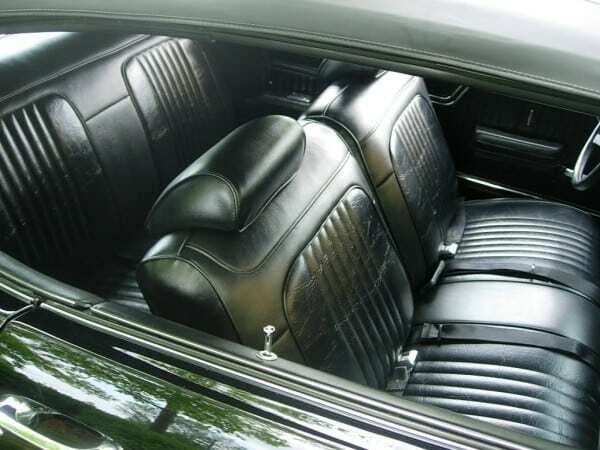 The car’s nose-down stance is the result of new 2-inch dropped coil springs and staggered diameter 19-inch front and 20-inch rear Intro alloy wheels wearing Continental radials. 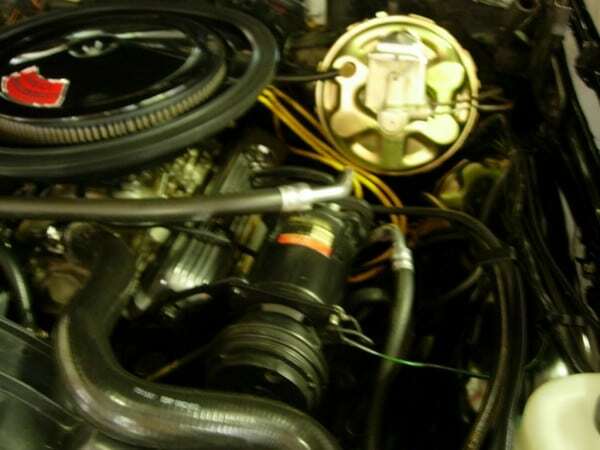 Optional equipment includes power steering and disc brakes and factory air conditioning updated to R134a refrigerant. 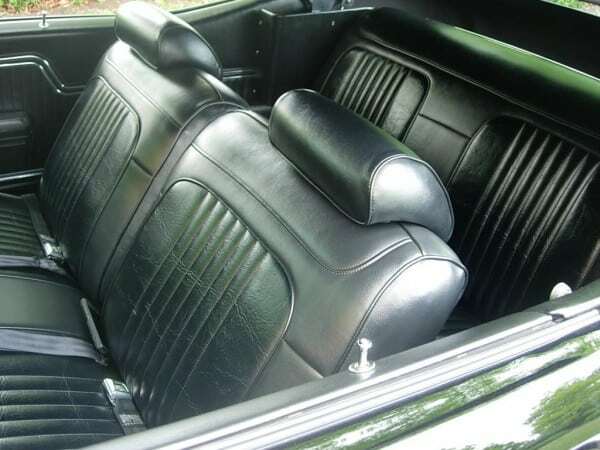 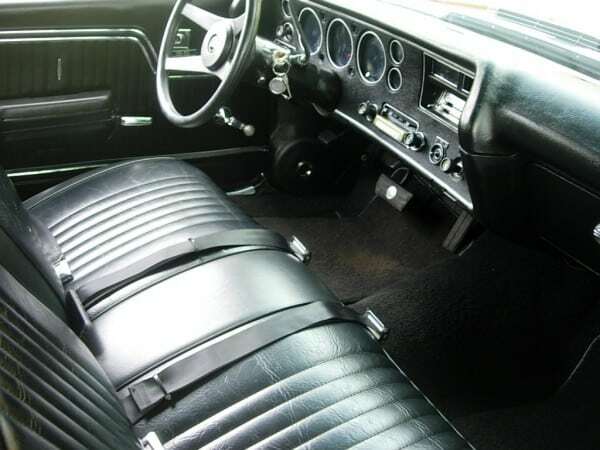 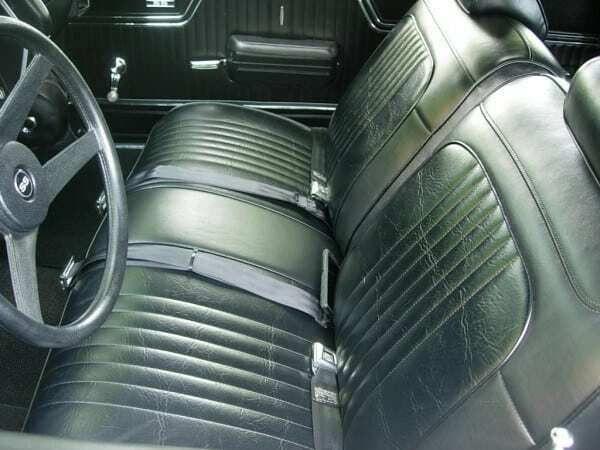 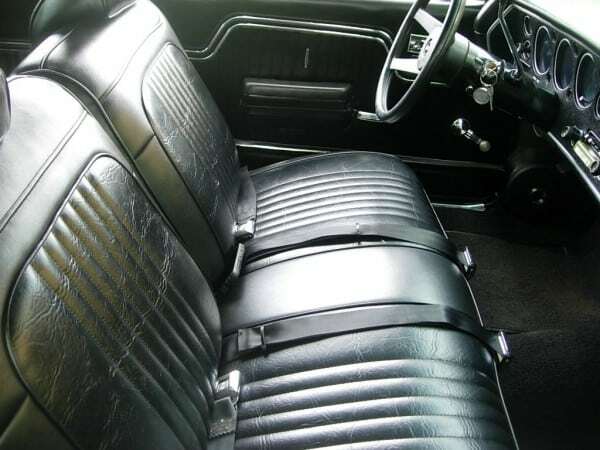 The interior presents the rare combination of bench seats with column shifter and includes the SS-standard round gauges with tach and clock, a factory AM/FM and 8-Track player, tinted glass and a new power top that has never been down. 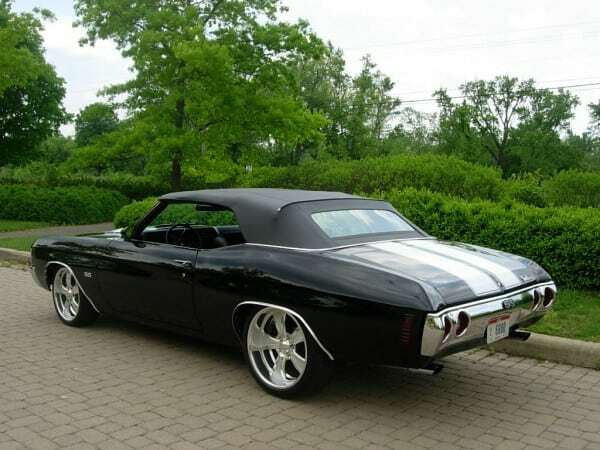 1970 Pro Touring Chevy Chevelle…..SOLD!